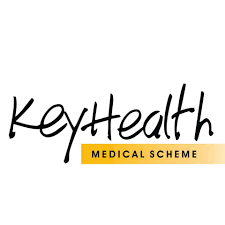 KeyHealth Medical Aid has been in the industry for 50 years. They promote a philosophy of keeping it simple. KeyHealth offers you medical aid. No frills and no fancies. There are no loyalty programs, no bonuses and no unnecessary add-ons. Why? It’s simple actually. They want to focus on providing you with pure medical aid. Their current member base is 95 000. The Origin package is an unlimited hospital plan to the nominated hospitals and includes a Savings benefit. This covers your routine general practitioner visits although there is a limit set. It covers your ambulance costs, pathology, optical, dental, oncology treatments, MRI and CT scans to a certain limit, Set list of chronic medications. In the event of an accident, this will cover all your hospital costs and specialist treatments. You get free access to Easy-ER, Health Booster and Smart Baby. The Equilibrium package is an unlimited hospital plan to the nominated hospitals plus Savings benefit. This covers your routine general practitioner visits although there is a limit set. It covers your ambulance costs, pathology, optical, dental, oncology treatments, MRI and CT scans to a certain limit, Set list of chronic medications. If you have an accident, this will cover all your hospital costs and specialist treatments. The silver package is a hospital and savings plan. It offers the same as the Equilibrium plan but now includes the costs of the prosthesis. The gold package offers the same as the Silver package but now includes your hearing aids. It is also a hospital and savings plan. The Platinum package has many more benefits than the Gold package. It now also covers dialysis, organ transplants, self-payment gap. It also boasts an extended chronic list. Keyhealth has kept to its word on keeping things simple. The packages are simple. Starting from the basic hospital plan and adding on as the packages increase in cost. It is important to note that all these plans are unlimited provided you used the specified hospitals. In the event that you used a different hospital, you will be liable for the cost. Keyhealth is to introduce a learnership program to its member’s children. On the website it spoke of having 2 opportunities available in Tshwane. The learner will obtain 120 points for the Financial Advisory and Intermediate Services.